If there were anything else at all that Nathan and Vicki Traller could do to save their daughter, they surely would. In the two years since Nathalie, 15, was diagnosed with a rare form of pediatric cancer, the couple has devoted countless hours to researching the disease, consulting with doctors, lobbying drug companies to allow Nathalie to take part in promising clinical trials and — stalled in that attempt — rallying support on every corner of the Internet. 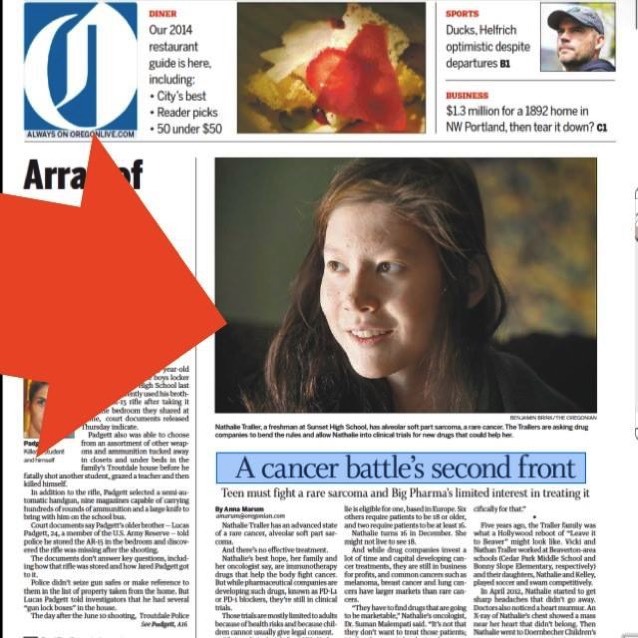 But time is running short, and the Trallers, former Hawaii residents who now live in Oregon, are hoping that folks back in the Aloha State will be willing to lend their support. Nathalie, the elder of two Traller daughters, has stage 4 alveolar soft part sarcoma, which does not respond to chemotherapy. Nathalie has endured eight surgeries to remove growths near her brain, heart and lungs, but procedures are debilitating and the benefits are short-lived. And while she has found relief during visits to the Big Island, where Nathan grew up, and Hono­lulu, where Nathan and Vicki met as students at the University of Hawaii, the joy she gets from swimming in the open ocean and eating her favorite local foods is also fleeting. Nathalie's oncologist feels she could benefit from emerging anti-PD1 immuno­therapy, which is being tested in a half-dozen clinical trials. However, Nathalie does not meet the age requirement (18 years) to participate. The requirement exists for legal and administrative purposes, Nathan says, not medical ones. Nonetheless, requests for "compassional use" access have thus far been unsuccessful. 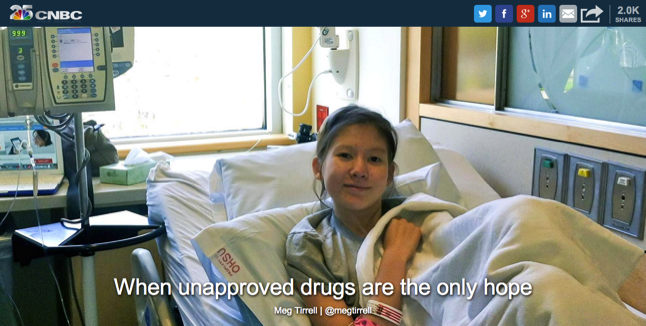 "Potentially lifesaving therapies exist, but unfortunately teenagers aren't able to access these treatments," Nathan says. 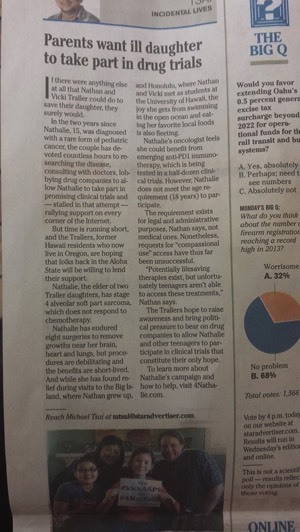 The Trallers hope to raise awareness and bring political pressure to bear on drug companies to allow Nathalie and other teenagers to participate in clinical trials that constitute their only hope. 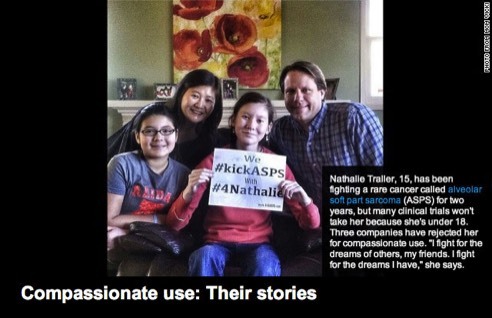 To learn more about Nathalie's campaign and how to help, visit 4Natha­lie.com. Hey Natalie I'm Melody Clapper, and I am almost done with the 6th grade. My brother, Charles, was in your dad's fifth grade class 4 years ago. Anyway, I sing and songwriter and I wrote a song dedicated to cancer patients, and I sang it at my school's talent show. And I came to think of you. I really hope you take this video as something to make you feel better. All my hopes and prayers are all yours! May the Lord bless you!